Happy Frocktober! If you’re unsure what I’m talking about, Frocktober is a month long fundraiser for the Ovarian Cancer Research Foundation (OCRF). Every day this month I’ll be donning a frock, documenting said adventures and raising much needed dollars for Ovarian Cancer Research. This is my third year participating in the Frocktober fundraiser, and my second year as an ambassador and face of the charity. Click here to donate to the charity and support myself and Anna at The Tangible Blog’s fundraising page. Frocktober is a philanthropic campaign accessible to all Australians passionate about women’s health. All funds raised are distributed as scientific grants to dedicated ovarian cancer researchers in Australian and New Zealand hospitals, universities and research institutes. Through these vital research efforts, the ultimate aim of the OCRF is to develop an early detection test for ovarian cancer that is both non-invasive and cost effective, so it becomes a habitual part of every women’s regular health check-up regimen along with mammograms and pap smears. The OCRF is not government funded for their research, so they need all the support they can get! If you want to donate to the OCRF every cent counts. Plus it is tax deductible end of financial year! Now onto today’s fabulous frock! You can follow its adventures on Instagram Stories now! 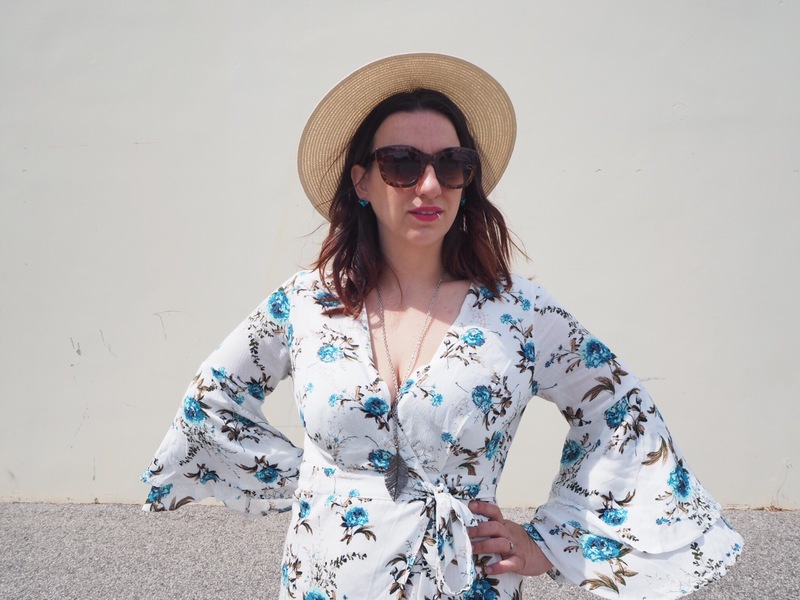 Whimsical, feminine and oh so sweet, I knew the Karina Blue Floral Wrap Dress from Little Party Dress (LPD) had to be one of my first frocks of the Frocktober season. As soon as I saw this frock online I fell in love and it had to be mine. Was it the floral print? Probably. Was it the pop of blue? Maybe? Was it the bell sleeves? Possibly. Whatever it was made my heart a flutter. 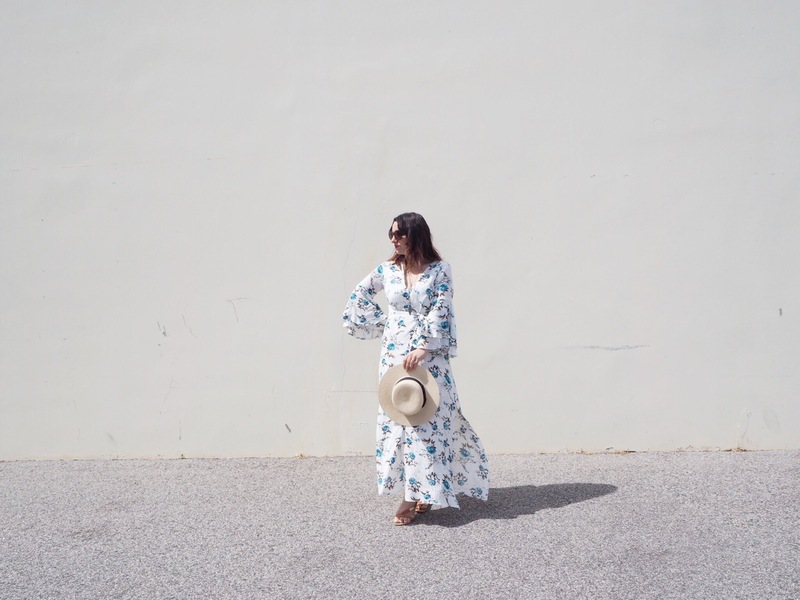 I didn’t think the boho trend was for me, but after trying on this stunning frock I was sold. Boho is a go go for this girl! There is just something about the relaxed vibe of boho that I’ve fallen for, and the comfort factor is also a positive! Now onto a Frocktober confession. 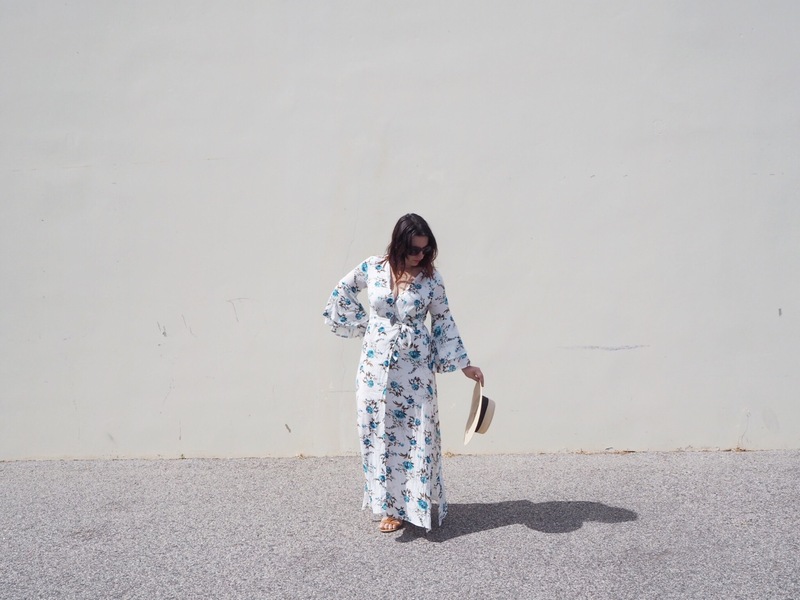 I’ve become a little bit obsessed with wrap dresses in the last few months and I know I’ll be filling my wardrobe with them over the coming months. Why? Because they are perfect for hourglass shaped ladies like me, as the wrap shows off your smallest part, your waist, and skims over your hips and behind. The v-neck is also perfect for those bustier ladies out there, as it flatters your chest. This will not be the last wrap dress you see this Frocktober. Little Party Dress is my new online shopping obsession, with everything from casual day dresses to literal little party dresses for every kind of girl. If you’re a fan of this gorgeous gown, get online now – it’s still in stock in limited sizes. Huge thanks to Kelly at LPD for this stunning frock donation. I’m telling you she has something for everyone at her store. Get shopping! If you want to support my Frocktober campaign please click here. I’ve got plenty more frocks to share! 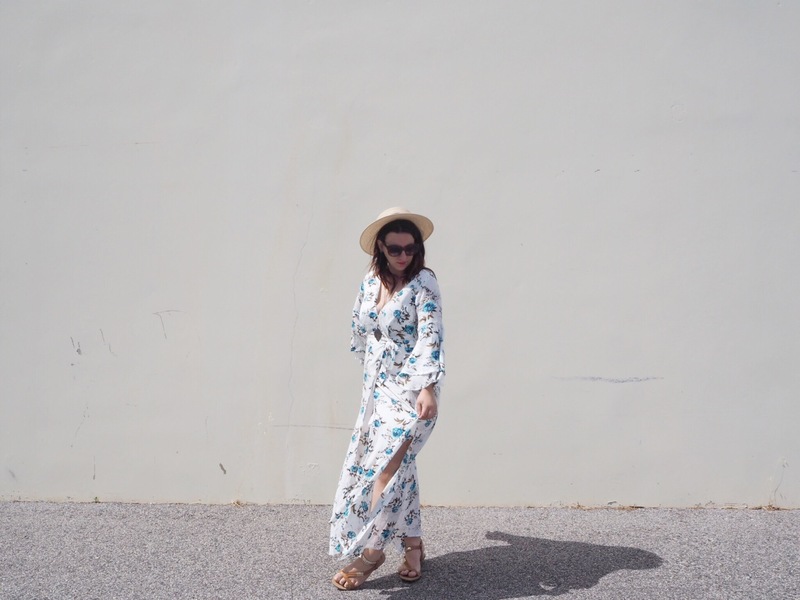 Are you a wrap dress fan? Do you do boho? Do you think I’ll survive wearing just dresses for a month? *Little Party Dress kindly donated this frock for me to rock during Frocktober! I’m obsessed with this one ! Slay! You are rocking this look hard!! Previous PostFrocktober 2016: More floral!